Well, a third of 2015 is almost over - the perfect time for a quick check-in to see how we're progressing with this year's running goals, right? I dubbed 2015 my year of running fun, and I honestly couldn't have done it at a better time: I'm really struggling to consistently get in some good quality runs these days. It turns out that two kids in two years is quite the adventure, haha! But it's an adventure that I wouldn't trade for anything in the world - I'm loving every chaotic, precious minute of it! 1. Complete parkruns at five new-to-me official parkrun venues. 60% complete, whoooop! 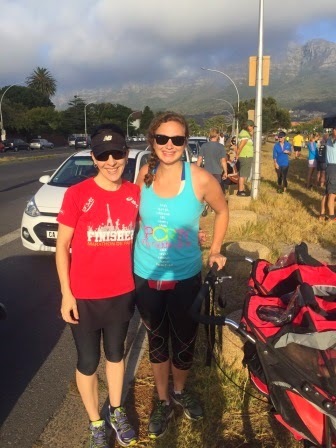 I did the Rondebosch Common, Hartenbos and Kimberley parkruns during March and April - all of them new to me and all of them lots of fun. Two to go! 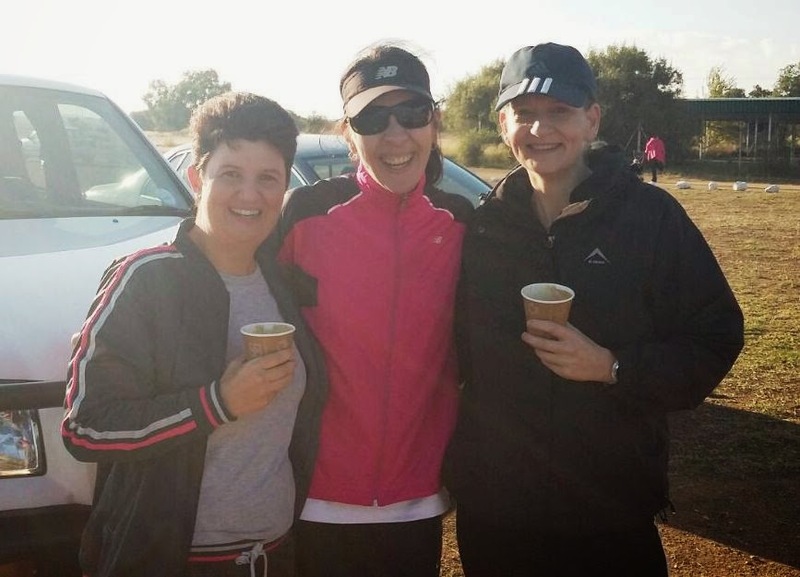 Kimberley parkrun with Tanya and Annemarie. 2. Do one international run or race in a country where I've never run or raced before. Zero percent complete. I honestly don't even have any definite plans for this one in place yet! I'm tentatively thinking about Swaziland in September... Or perhaps a quick jaunt over the Botswana border while visiting Grandma and Grandpa on the farm? We'll see. But I'm as determined as ever to run the world! 3. 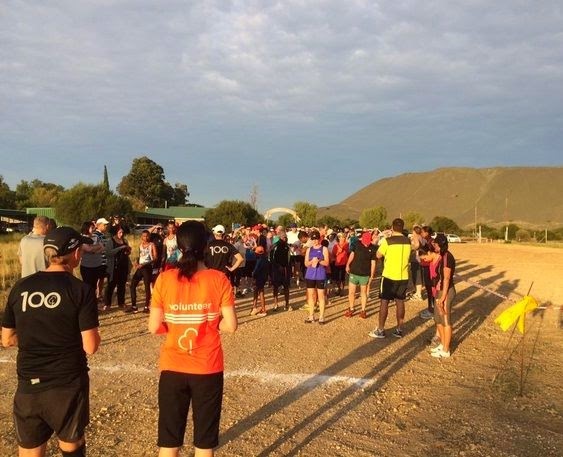 Get a local parkrun up and running in our new home town. 100% complete - hooray! This was honestly the biggest goal for the year and I cannot even begin to tell you how much I'm enjoying Kimberley parkrun. You know when you find something that you love, and doing it requires work, but that work doesn't even feel like work at all? That's Kimberley parkrun for me: I absolutely love it and always will. 4. Complete our first race as a family of four. Zero percent complete. And in a new plot twist this one might become a bit trickier than anticipated: Baby J wants nothing to do with a jogging stroller these days. Nothing. Most of our family runs now end up in either Will or me carrying J Bear home. Hopefully it's just a phase...? Or perhaps we're nearing the transition from jogging strollers to push bikes and bicycles? Whatever the case may be, we're just going to go with it and try to find a way to make sure that everyone has some fun. 5. Do a fun costume race (a first for me!). Zero percent complete. I'm tentatively planning on doing a 5 km fun run with Miss K (in the stroller, and perhaps with her doing a bit of walking here and there) in August, with the two of us all dressed up in tutus and tiaras... I absolutely cannot wait! I haven't done it yet but you can try this "race" in Botswana. Google "Desert Flower Run"
Looks like a great event, thanks, Shawn! I'll definitely keep it in mind. Heehee - I'm a nut, I know... :) I think the parkrun concept just fits this phase of our lives perfectly, plus, of course, they had me at "points competition" and "free adidas Club 50 shirts", lol! number five I meant ha...It's almost noon and apparently I'm still not woken up ;). I'm super excited about our costume race too!! I think Miss K is at an age now where she'll really enjoy the experience - can't wait for all the giggling and mom-daughter fun! I think you're right about J Bear - Miss K also had a brief stage just after she started walking where she refused to ride in the stroller - she wanted to move herself! I think that's what he's also feeling now. We'll see how it goes! Great job with your goals and plans so far. I don't think I even really set goals down on paper this year. I think I just wanted a more relaxed year. It is hard to run with two little ones, especially when one doesn't want anything to do with the jogging stroller! I remember runs where my daughter cried and screamed the last two miles home on a four mile run, and I wouldn't stop. Such a mean mom. I knew all she wanted was to get out and explore and after awhile she got better about it, but till she did it was a little rough! J Bear's new aversion to the stroller certainly does make things interesting...! ;) But I don't want our love for running to be a burden on the kids - I think for now Will and I will be running separately, and then we'll give the stroller another try in a month or so. Fingers crossed! I am sure you will reach all the goals. Great pics. I cannot planning anything, I live my running life day after day. 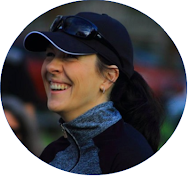 Living a running life day by day can also be good sometimes - especially when battling with injuries, like you are. As long as one can run, hey? That's the main thing :) .